Editor's Note: Guest blogger Beth Walsh, MS, OTR/L is an educational advocate and consultant from Massachusetts. Here, she provides a professional educational advocate's perspective on how parents can make the Special Education system work for their children. Congratulations! If you’re reading this article, you are likely feeling worried, frustrated, maybe angry, and probably at least somewhat out-of-control. So, why congratulations? Because you are taking an important step in your ongoing work in advocating for your son or daughter. Take a breath, because you are on the right path. As the English philosopher, Francis Bacon, said: “Knowledge is power”. By doing your research and reading this blog, you are empowering yourself by gathering critical information that will help your child. Advocacy work is not easy - you know this - you’ve been at it on your own. Parenting is not easy either. Having a child with learning differences or any type of disability, big or small, can make it even trickier. You may just be starting out…or you may not even know how to start out in negotiating the world of Special Education. You may not even know what your exact concern is for your child, but you are the parent- and YOU know that something is not going right. Some of you may have been at this for years and might feel weary…. or furious. Schools today engage in evidence-based practice. This means that facts, scores, and data need to be at the center of all decisions about how children are educated. Similarly, kids’ progress should be measured with evidence. It’s really not a subjective business. If you are trying to advocate for change for your child at school, you need to gather evidence--and give it a voice. This is no small task, and a professional advocate can guide you. helping with conflict resolution - either at the conference room table or perhaps through some of the supports available to you through the State. Good advocacy can often bring people together to respond to facts and work within policies, processes, timelines, and under State and Federal Law. If your child is eligible for Special Education, or if you think they might be, decisions regarding your child’s education (and many other aspects of your child’s school experience) are to be made by a TEAM. Your team is a multidisciplinary group of specialists, educators, administrators….and YOU. You are an equal member of that TEAM. If the team isn’t working, you’re in trouble. A good advocate will not only support and empower you in your role within the team, but also help the team work as it should. How do I find the right educational consultant or advocate? It is important to know that educational consultants and advocates are not licensed by a government agency, so there is a lot of variety in the level of expertise, experience, and credentials held by advocates. So, be an informed consumer. Below, you will find links to several great resources that are available to you. It is worth familiarizing yourself with these organizations if you have not already. Thanks to our Federal Special Education Law, the Individuals with Disabilities Education Act (IDEA: Sections 671-673), each state must have a Parent Training and Information Center (PIRC) and Community Parent Resource Center. These are great places to start your search for an advocate near you. Where I work in Massachusetts, our resource is the Federation for Children with Special Needs (FCSN). Our Federation started in 1975 and was the first of today’s PIRCs. I recommend you start with your state’s PIRC and follow helpful links provided. Educational advocates in MA have organized and created the Special Needs Advocacy Network (SPAN), whose website provides a professional directory of advocates by geographical location, level of training, and special interest area. Special Education Parent Advisory Council (PAC): each school district must have a PAC- check your school’s website or call your special education office for contact information for your PAC. The Federation for Children with Special Needs gives brilliant advice in recommending that families contact about four advocates and interview them briefly over the phone to make sure you are finding the right match. Still, perhaps the best way to find a good advocate is by word of mouth referrals. Talk to other parents. Talk to teachers. Connect with your Parent Advisory Council. Ask your pediatrician. When deciding to work with an advocate, ask about their experience, training, and approach. Ask about their experience in supporting kids with situations similar to yours. Ask if they have any additional related credentials: are they also an educator? Psychologist? Attorney? Parent of a child with special needs? Do they attend professional development courses? Can they offer references? Typical rates can vary greatly--from pro bono arrangements up to $150+/hour. Understand how you will be charged, and understand the knowledge that person can bring to the table. Advocates can empower parents of children with learning differences. Working together as a TEAM, we can ensure that students are supported as they continue to make effective progress toward their educational goals. Beth Walsh, M.S., OTR/L started her career as an educational advocate in 2008. 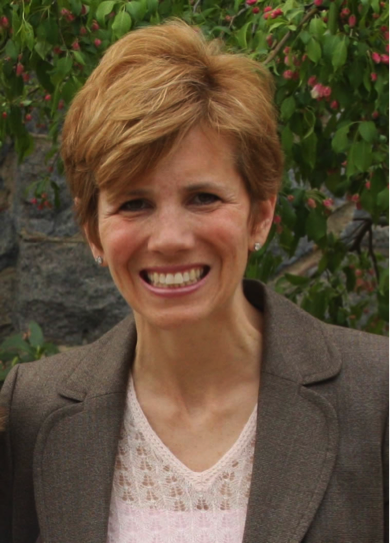 As an Occupational Therapist with 16 years combined experience working in clinical and school settings, she has been able to combine her expertise on disability and function with her understanding of the processes, procedures and regulations governing special education in order to support students and families.